You get home from work to find your dog acting unusual. He is weak, wobbly, and uncoordinated. He almost appears as if he is “drunk”. You check the house and find that he has ingested part of a pack of sugarless gum. You think to yourself, “gum is not toxic to dogs is it?” You call the Pet Poison Helpline at 1-855-764-7661 and pay just $49 for a consultation with a veterinary Toxicologist. The Toxicologist informs you the sugarless gum containing xylitol is in fact toxic to dogs. You look on the part of the gum package that is left and sure enough, xylitol is a listed ingredient. Your dog is in danger and needs to be evaluated by a veterinarian immediately. Xylitol is a sugar substitute used in many common sugar free products including gum, mints, toothpaste, and mouthwash. 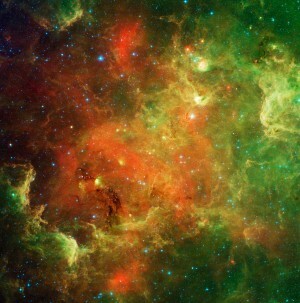 Xylitol can also be used for baking or to sweeten coffee. Although harmless to people, this product is toxic and can be life threatening if ingested by dogs. The most common cause of xylitol toxicity in dogs is from sugarless gum ingestion. It is not known if it is toxic to cats. Thankfully, it is more unusual for cats to eat things they should not as opposed to dogs. Since even small amounts of xylitol can be toxic if ingested, dogs that have ingested xylitol should be evaluated by a veterinarian immediately. Xylitol can cause hypoglycemia (low blood sugar), electrolyte disturbances and even liver failure. In both dogs and humans, the blood sugar level is controlled by insulin released from the pancreas. Xylitol is quickly absorbed into the bloodstream and in dogs this causes a large amount of insulin to be secreted. This large amount of insulin can cause severe hypoglycemia, which can occur within thirty minutes of ingestion but can be delayed for up to 12-48 hours. Hypoglycemia can lead to vomiting, weakness, a wobbly gait, lethargy, tremors, or seizures, and if not treated can be life threatening. Liver failure can be seen 9-72 hours after ingestion. Liver enzymes generally elevate within 12-24 hours of ingestion. The veterinarian will induce vomiting if the dog is evaluated within 4 hours of ingestion. Activated charcoal is commonly used when toxins are ingested to bind to the toxin and prevent further absorption. Giving activated charcoal is not usually helpful with xylitol ingestion since xylitol is so rapidly absorbed and activated charcoal does not bind well to xylitol. Depending on the amount ingested, the dog may need to be hospitalized for treatment and monitoring. Treatment usually consists of fluids, frequent feedings, and liver protectants. Blood work is performed initially to have starting values and then monitored closely. Glucose is checked every 2-4 hours, electrolytes every 4-6 hours, and liver enzymes and clotting factors every 24 hours. If hypoglycemia occurs, dextrose (a type of sugar) is administered in the fluids. Dextrose may need to be given for 12-24 hours or until the dog can maintain normal blood sugar values without supplementation. Electrolytes may also need to be supplemented in the fluids. For ingestion of large amounts of xylitol, dextrose is automatically supplemented for a minimum of 24 hours and liver protecting medications are given. Blood products may need to given if clotting factors are affected. The prognosis for animals that have ingested xylitol is variable. The prognosis is good if animals are treated before clinical signs occur or with uncomplicated hypoglycemia. Mild increases in liver enzymes can resolve within a few days with treatment. The prognosis is guarded to poor in animals that develop liver failure or bleeding disorders. If your dog has ingested a product containing xylitol the Pet Poison Helpline or a veterinarian should be contacted immediately for further advice. The Pet Poison Hotline is a 24-hour animal posion control center for pet owners and veterinarians dealing with a poisoned pet. The pet posion help line was mentioned but is not the source of reference in this article. 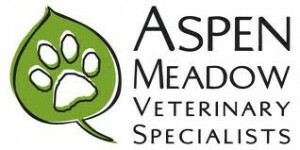 Dr Dana Dietrich is an Emergency Veterinarian at Aspen Meadow Veterinary Specialists. AMVS is a 24-hour veterinary facility providing specialty internal medicine, orthopedic surgery, oncology, emergency, critical care, and pain management. They are located in Longmont at 104 S. Main St. For more information, go to www.AspenMeadowVet.com. Site contents copyright © 2019 Recorder Online	except as noted. All rights reserved. | 90 queries in 2.457 seconds.